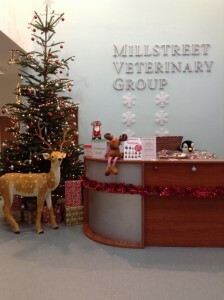 The team here at Millstreet Veterinary Group have had fun over the past few days getting the practice ready for Christmas. The tree is up, Rudolph the reindeer is in prime position to welcome you as you enter reception – there are even a few presents under the tree already! 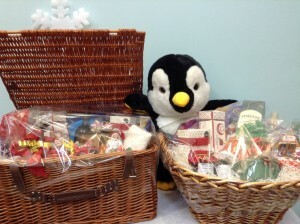 When you next visit the office, don’t forget to enter our hamper draw and children’s draw for the Penguin. 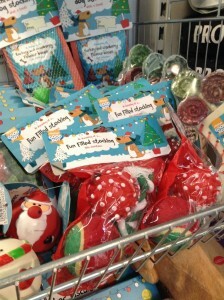 We have a variety of Christmas themed goodies for your pet in our shop – from Christmas jumpers and collars, to special seasonal treats for your dog and cat, we can help you to find the perfect stocking filler for your four legged friend.